Take a step (or perhaps a waltz?) 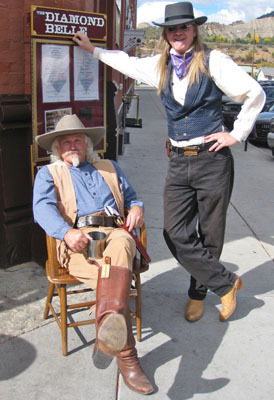 back in time this weekend during the sixth annual Durango Heritage Celebration Oct. 10-13. During the celebration, the city, local businesses and historic organizations host four days of Victorian and Wild West events, each designed to commemorate and celebrate Durango’s formative years during the 1880s and early 1900s. The Heritage Celebration kicks off Thursday night with a performance by the Six Dollar String Band at the Henry Strater Theatre at the grand Strater Hotel, which was built in 1887. Things really get cookin’ on Friday with a Victorian and Edwardian tea and fashion show, also at the Henry Strater Theatre, followed by a chance to buy Victorian- and Edwardian-style accessories (jewelry, feathers, hatpins, walking sticks — a faux fur muff, perhaps?) at the hotel. 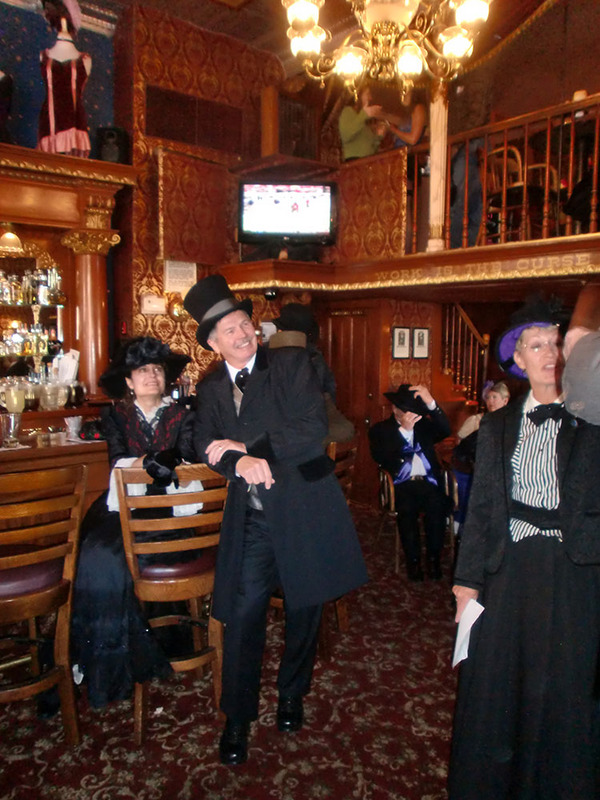 There will also be a Victorian dance class at the La Plata County Fairgrounds Extension Building and happy hour at the Diamond Belle Saloon before the “Buffalo Bill Meets Queen Victoria” banquet at the Strater Hotel (which is sold out). On Saturday, take a historic tour of Greenmount Cemetery, where reenactors in period costume tell the stories of some of Durango’s pioneers and founders. Later in the day, hop aboard the city’s trolley for a free historic trolley tour led by Ann Butler, a lifelong Durango resident and longtime Durango Herald reporter portraying Carolyn Romney, the city’s first newspaper woman. Both tours are free, although donations to the Heritage Celebration are accepted (and appreciated). On Saturday, there’s another happy hour at the Diamond Belle Saloon from 4-6 p.m. — but don’t be surprised if a couple of cowboys exchange fightin’ words and settle their feud in the streets during an old-fashioned, Old West shoot-out. Saturday night is capped off with “Her Majesty’s Ball,” which is also sold out, but you can still catch a ride on the Durango Heritage Train on Sunday morning. Be sure to wear your period costume and don’t be surprised if the train is overtaken by bandits! The Durango Heritage Celebration began in 2008 as a way to educate locals and visitors about the city’s founding as well as support the La Plata County Historical Society, the Animas Museum and downtown businesses. Visit the Durango Heritage Celebration website for a complete schedule of events. While you’re in town for the Durango Heritage Celebration, be sure to book your room at the Durango Quality Inn, where we have plenty of space for your steamer trunks and hat boxes.